Rein-back is an exercise that is often problematic for riders, yet it’s a very useful one to teach your horse, especially if you encounter gates to open whilst hacking out! The rein-back is included in many dressage tests and it’s a tricky exercise that can be a real mark-loser when not ridden well. Here’s how to teach your horse rein-back. What is a correct rein back? 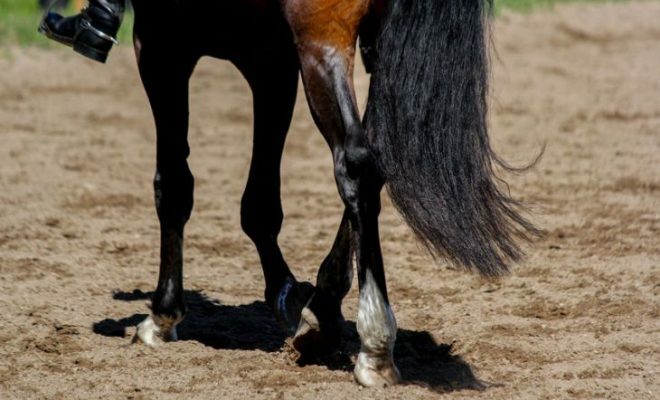 Before attempting to teach your horse to rein-back, it’s important that you understand what you are aiming to achieve, especially if you intend to ride the exercise in a dressage test. The rein-back is defined as a rearward movement of diagonal pairs. It has a two-beat rhythm and no moment of suspension. Each pair of legs is raised and returned to the ground alternately, while the horse stays straight and moves on one track. The horse should remain ‘on the bit’ with the poll as the highest point. He shouldn’t drop his head down or curl up behind the bit. The horse should stay relaxed and calm during the rein-back. There should be no resistance to the contact, and he shouldn’t rush backwards or lose his rhythm. Before you can begin to teach your horse rein-back, you must be able to ride a square halt. It’s important that the halt is square. 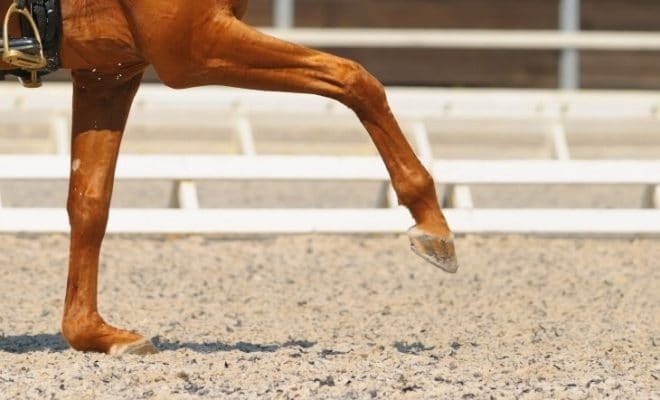 If the horse is trailing a hind leg at the start, he won’t be able to keep his balance or step back clearly in diagonal pairs. It’s also important that your horse is relaxed and happily accepts an elastic contact. A tense horse that comes against the hand when asked to rein-back will hollow his back, throw up his head, and could potentially injure or frighten himself. This is why it’s a good idea to begin teaching your horse rein-back from the ground. You can do this simply by using your voice to ask your horse to, “go back” when you’re grooming him in his stable. Place one hand on his chest and stand to one side of him. Push him firmly back, whilst taking a positive step towards his quarters, and using your verbal command. When he obliges, praise him so that he knows he got it right! With practice, your horse will step backwards just from your voice command, and this makes it ‘a piece of cake’ to teach him the exercise from the saddle. When your horse understands the verbal command to step back, you can begin to teach him under saddle. A good tip to help your horse to stay straight while he’s learning rein-back is to position him alongside the fence or wall of your arena. In the early days of his lessons, it’s also useful to have a helper on the ground. Your assistant stands at the horse’s shoulder, places a hand on his chest and pushes him back, while you apply the aids from the saddle and use your voice. This often helps the ‘penny to drop’ for the horse. Ride a square halt alongside the fence. Make sure the horse is relaxed, immobile and on the bit, accepting an elastic contact. Move your legs slightly behind the girth and lighten your seat. This effectively ‘opens the back door’ for your horse. Now simultaneously ‘close the front door’ by squeezing your legs firmly and keeping your contact firm but elastic. 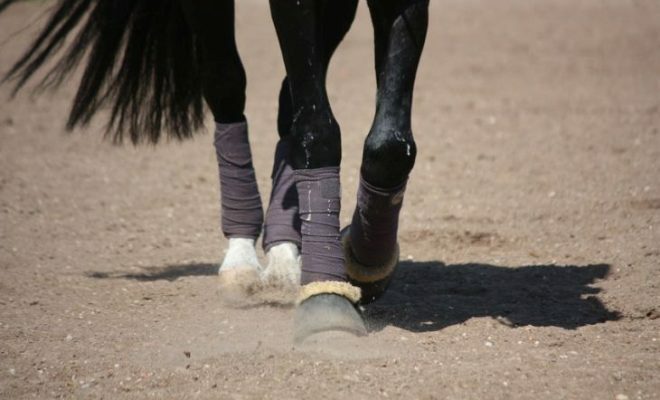 As soon as the horse begins to step back, relax your leg and hand, and praise your horse. As soon as your horse has obliged and taken one or two steps back, praise him and ask him to walk or trot forward. This is extremely important as you don’t want your horse to associate the exercise with backward thought. 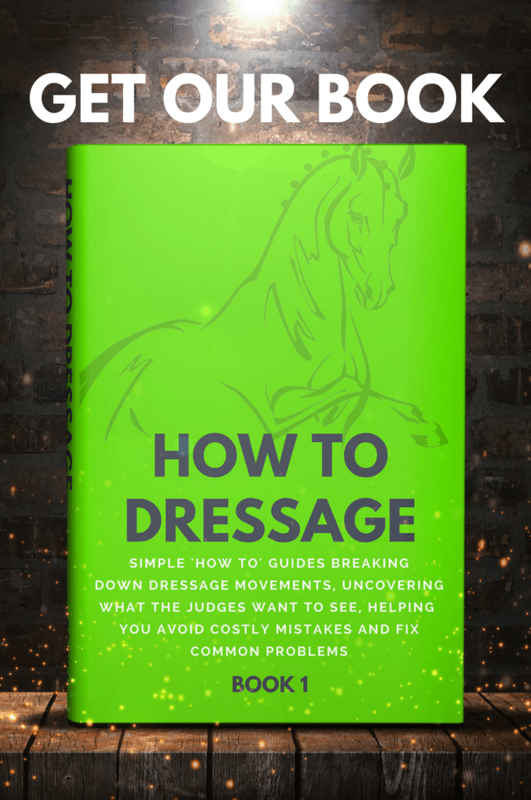 In a dressage test, the judge will look to see a horse stepping forward smartly out of an obedient, correct rein-back for a really high mark! Don’t ask for too many steps to begin with and don’t be tempted to repeat the exercise too many times; the last thing you want is for your horse to anticipate the exercise and step backwards every time you ride a halt! If your horse becomes stressed or anxious during his rein-back lesson and shows resistance, abandon the session and take things back a step. This is a difficult exercise for the horse and he may just need more time to get his head around what you’re asking him to do. Finally, never use rein-back as a punishment! Rein-back is a difficult exercise to master for both horse and rider. Be patient and take the time to ensure that your preparatory work is securely in place before attempting to teach your horse rein-back from the saddle.